I hope you all know how much I appreciate you spending your time reading my posts and leaving comments, always being so devoted and caring! 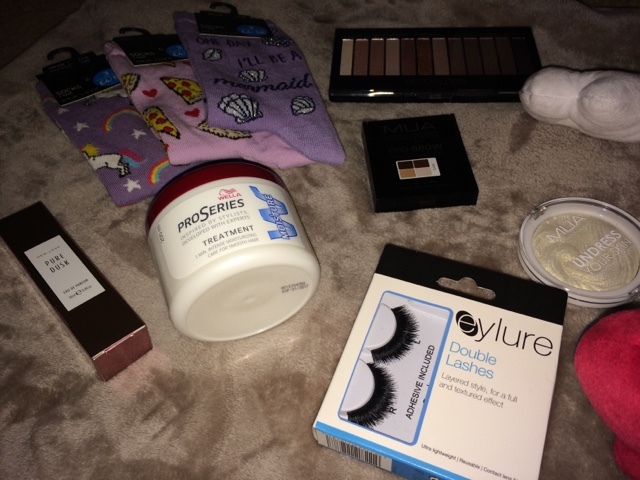 I thought I'd treat a lucky gal/guy to a few products through a new giveaway! It is worth nearly £52 so I think I've done well with providing all these items with my own money!! This giveaway will only last around a week as I am planning on creating a new one in December which will be more festive than this one! So as you guys can see, there's a few things to be won which are (well, should be) everyones favourites! Even if you wouldn't keep the products for yourself they would make great Christmas stocking gifts! I especially love the eyeshadow palette and will definitely be getting one for myself soon! Good luck to everyone! 'May the odds be ever in your favour'!! Is this open internationally Maya? Thank you so much for hosting this wonderful giveaway! I love the eyeshadow kit. I could keep that for myself instead of, like most mothers, always giving to the little ones. Exactly! It's always good to have a treat for yourself! Minnie Mouse aw sooo cute!!! I know I love her!! It's so cute and soft!! 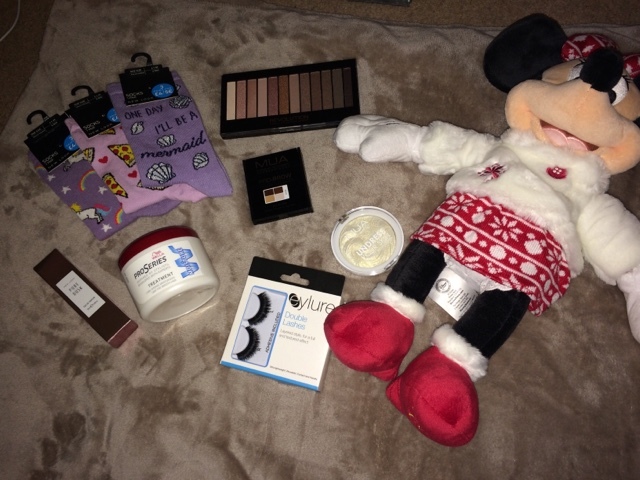 Such a cute giveaway, i love the little minnie mouse. Fingers crossed! The colours are amazing! 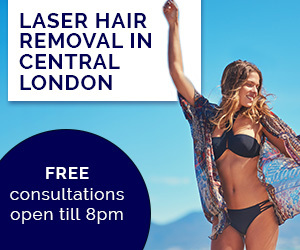 Great for an every day look! 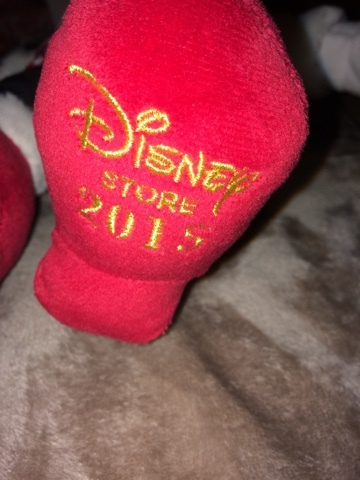 I like the Limited Edition Christmas 2015 Minnie Mouse. I love Disney! I adore Disney! I always spend there a fortune since j started working for them! I love the Minnie Mouse! It's so soft, it'd make st cuddle buddy! 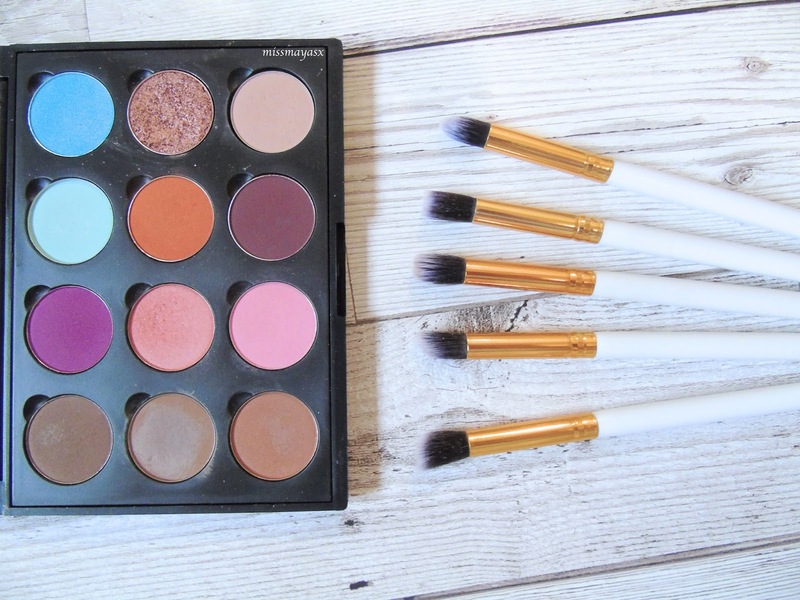 Makeup Revolution eyeshadow palette in 'Iconic 3' is what I'm keeping my eyes on! But the three socks were a close second especially the pizza designed one haha. The Minnie Mouse - my daughter would love it! The hair mask works wonders!! The false eyelashes would be an amazing prize! I've loving the novelty socks! 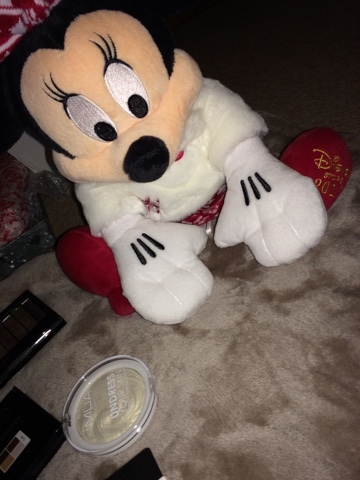 I love the LE Christmas 2015 Minnie Mouse! How cute are the pizza ones?! I really want one for myself!! I love the Minnie Mouse. It would be perfect for my step daughter who has just had her first baby last month! The Mini mouse plush toy of course (I love Mini :) ). The Minnie mouse is dangerously cute! !